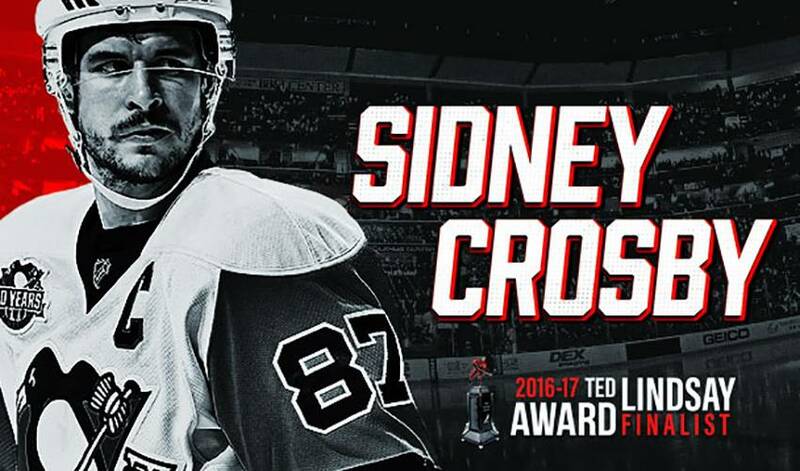 Crosby is one of six three-time recipients (Guy Lafleur, Wayne Gretzky, Mario Lemieux, Jaromir Jagr, Alexander Ovechkin) — a group he joined after he was voted the Ted Lindsay Award recipient in back-to-back seasons (2012-13, 2013-14). Sidney Crosby, of Cole Harbour, Nova Scotia, Canada, played in 75 regular season games for the Pittsburgh Penguins in 2016-17. Following a Stanley Cup-winning season, he captained the Penguins to the second-best record in the Eastern Conference. Crosby won his second Maurice “Rocket” Richard Trophy for scoring the most goals in the NHL (44). He tied for second in both points (89) and even-strength goals (30), while he placed second in points per game (1.19) and fifth in power-play goals (14). He also received the Award in his second season (2006-07).